Vail has many rivers and lakes that provide multiple opportunities for recreation. Fishing, boating, walks and views are found along Eagle River and Core Creek. Nottingham Lake is situated by the charming village of Avon and Vail has a Whitewater Park that is a haven for whitewater enthusiasts. A beautiful river near Vail, from Edwards to Redcliff, that offers superb fishing, whitewater rafting, and boating. Running right through the heart of Vail, Gore Creek is a gold medal fishing stream. Located next to the town of Avon, Nottingham Lake offers many activities both on water and on shore. 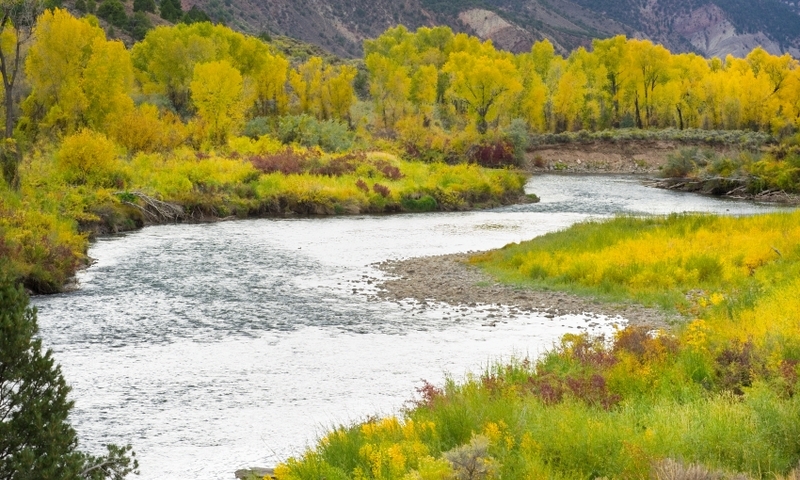 The renowned Colorado River flows west through Eagle, just a short drive from Vail. It offers great fishing and whitewater rafting. Located along the Gore Creek promenade, Vail's Whitewater Park hosts the annual Teva Mountain Games kayaking competition. Popular recreation spot north of Winter Park, Colorado.